There is a big demand for low drag and high top speed at Monza this weekend, with almost every team bringing a bespoke package for this one-off, unique racetrack. It is so different, in fact, that the teams will never bring the parts seen in Italy to any other event on the calendar. This means that the investment put in to developing these components must be spent wisely, requiring careful thinking to not waste time and money for just one race weekend. Ferrari have an awful lot of pressure on them going into this weekend as it is their home Grand Prix. 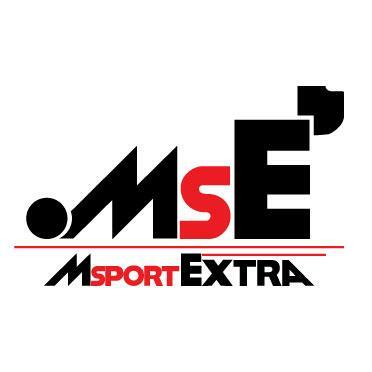 If you have checked out my piece on MTAFWheels earlier this week, you will know just how much scrutiny the Scuderia are under. 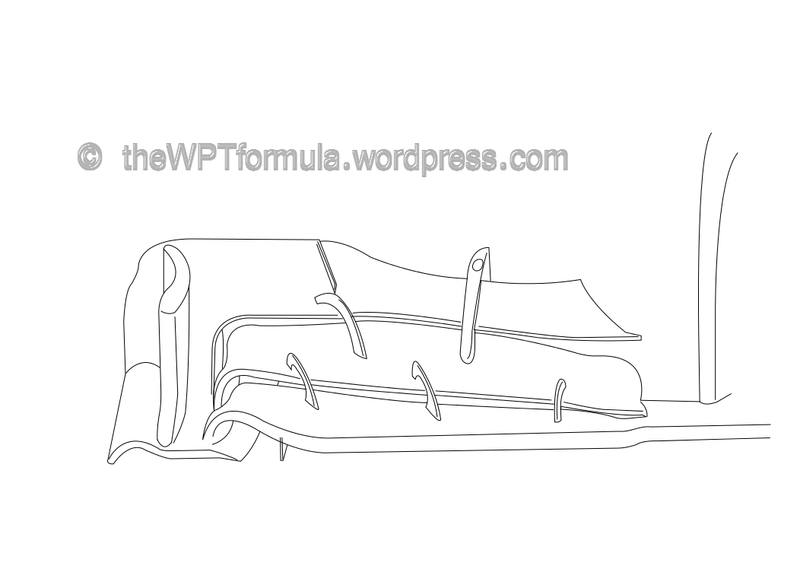 A complete cast-off from the Spa front wing, this new ultra-low-downforce wing has proven fruitful from the off. The flap is now one single element and very rounded off, meeting just above the trailing edge of the main plane. The outboard section of the wing is still made up of 7 elements in total and another new feature is the addition of two vanes both facing outwards. These produces vortices that direct the airflow around the front tyre as a way to manage the tyre wake and feed the underfloor of the car downstream. There have been some suggestions that this is James Allison’s (recently employed by Ferrari from Lotus) first contribution to the F138, although this is highly unlikely as he only officially started last week. 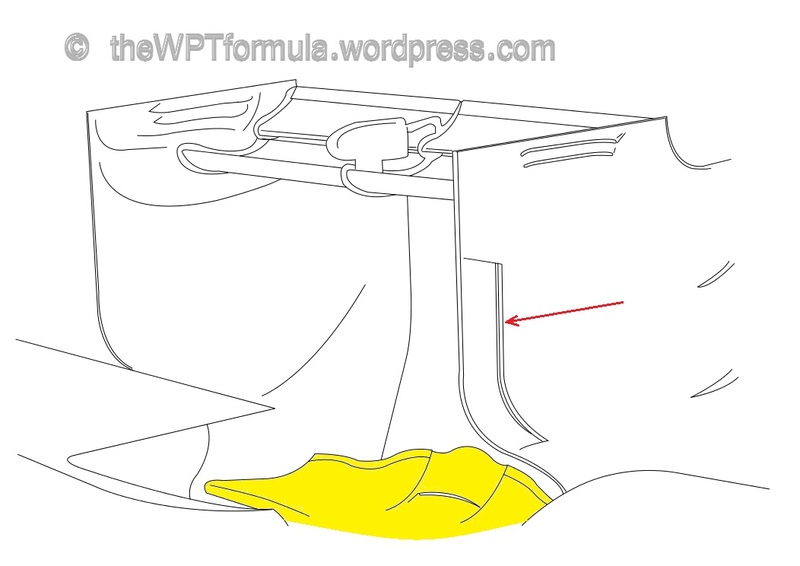 You only have to take one look at the front wing on the Lotus to see his unique style of turning vanes. Interestingly, Ferrari included the undernose chin for this weekend. They introduced this chin in Canada and it has appeared at all kinds of tracks. Most teams tend to remove this when it comes to reducing drag so I do not quite understand the logic in this decision. The F138’s rear wing was also adapted to suit the high-speed characteristics of Monza with a very shallow profile and only one single endplate slot to control wingtip vortex generation. It is also worth noting that the trailing edge endplate slats were also removed to reduce the expansion of airflow from beneath the car and the rear wing, which should reduce drag slightly. Although Italy is traditionally known as the land of Ferrari (in the motorsport world, anyway), let’s not forget about Toro Rosso. Red Bull’s Italian sister team have also had a lot of attention regarding Daniel Ricciardo’s recent move to the senior ranks. They also brought some small changes although they stuck to similar parts from Spa two weeks ago. The front wing flap received some treatment, becoming much shallower and also more twisted at its inboard section. The twisted area will produce a long vortex that will manage airflow downstream to flow beneath the floor and more efficiently around the lower wishbone assembly and bargeboard area. Reducing the area of the flap and lowering the Angle of Attack (AoA) will also help reduce drag. The team have, however, opted to stick with their cascade winglet elements mounted on the endplate fences. These will increase drag but should still maintain good airflow management around the front tyre. An adaptation to their rear wing from Belgium was also present which was also very shallow in profile. It did not include endplate slots – more on those later in this article. The biggest technical headliner belonged to the Enstone squad this weekend, for the E21 had the addition of a new long wheelbase (LWB). Normally a wheelbase change requires a number of alterations: the gearbox can be extended or the case can be redesigned to move the rear suspension backwards, or the chassis length can be increased. However, the chassis is homologated from the start of the season so it cannot be changed and fiddling with the gearbox length can ruin some of the rear aerodynamics. Lotus have therefore chosen to move the front suspension pickups on the wheel/hub forwards. If you click on the link above you can see a comparison of the two wheelbases. The LWB is the bottom image. The key “spot the difference” here is that the track rod (below the wishbone arm with the ‘Genii’ logo) has now been moved to a near horizontal position, whereas before it was angled backwards. The change in angles pushes the front wheels forward by 100-120mm, which is quite substantial. This also meant that the nose and floor at the be extended, too, as the front wing endplates and frontal section of the floor must be at a relative distance to the front axle of the car. The reason for the LWB is mainly to increase mechanical grip and stability at medium-to-high speed, although there is an aerodynamic advantage as it frees up more space for the front tyre wake to disperse before the oncoming airflow hits the sidepods. This was only available for Kimi Raikkonen for Friday, with Romain Grosjean having to settle for the short wheelbase option. The team decided to shelve the longer option for the remainder of the weekend, although there are suggestions that it will return for future races. It is also a good concept to investigate for development on next year’s car, as teams will certainly be turning most of their focus on to the colossal task of creating the best machine they car when the rules are turned upside-down for 2014. More on these changes in the coming months. 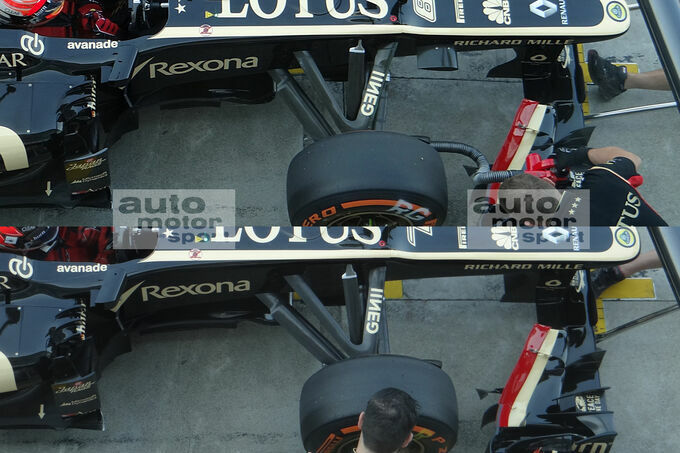 Lotus also decided to remove the under-nose chin beneath the nose of its E21. This was also done in Canada and Belgium as a way to decrease drag at the front of the car. Coupled with lower AoA front wing flaps, the LWB and smaller cascades, the front of the car had a lot of Enstone’s engineers on it! Also new was their extremely low-downforce rear wing, with a very short main plane chord and shallow profile. More on these effects later. Off the back of a slightly disappointing Belgium weekend, Mercedes revised their low-downforce package as well as adding new, Monza-specific upgrades. 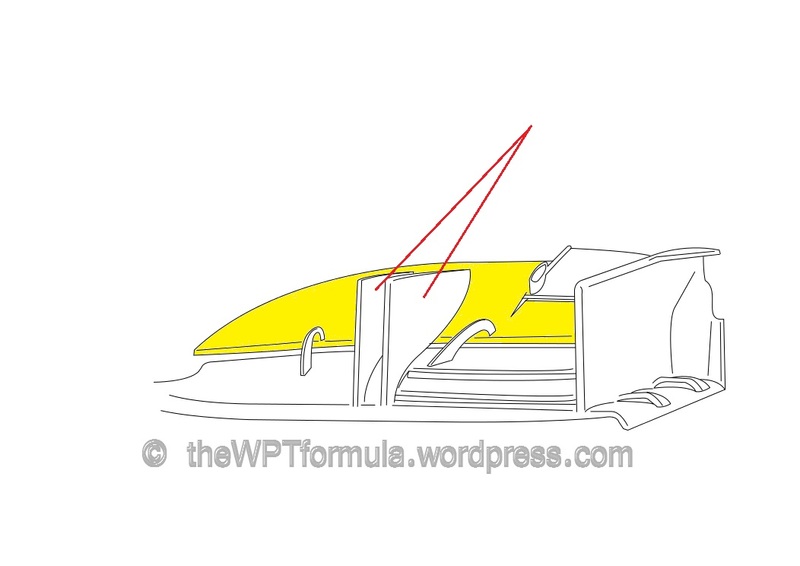 Above we can see a heavily revised rear wing, including an aggressively short main plane. Normally the leading edge of the wing is right at the front of the endplate area. To reduce drag, the main plane of the wing has been cut back dramatically, receding to almost halfway rearward of the front of the endplate. Extended tyre squirt slots have also been added to the endplates, running up the leading edge next to the rear tyre. These slots let the pressure delta between the two sides of the endplate equalise beneath the wing, reducing wingtip vortex buildup and maximising the use of the beam wing below. Incidentally, the beam wing has also received a healthy modification. It has a much lower AoA to reduce drag with a swooping trailing edge, highest at the centre of the wing. It is highest here to take advantage of the exiting airflow from the engine, allowing a slight bit of downforce to be produced in this region. A revised front wing was also installed on the W04, although it was virtually identical to that seen on the car during the first winter testing session. The wing still features five elements, but the flap has been reduced to one single element inboard with a much lower AoA. The Hungary wing was also present featuring the canards behind the cascade winglets. Both wings featured IR sensors to monitor front tyre temperatures, once again. Likewise with Lotus, the undernose chin was also removed to increase straightline speed. Mercedes also trialled their Drag Reduction Device (DRD) once again, coupled with a higher downforce rear wing. I do not know if it will make an appearance tomorrow but I doubt it as Monza really isn’t the place to be using such a device. Perhaps they were experimenting for future use as it will also be allowed for next year. There is evidence to suggest this as they were testing the DRD with the high downforce Hungary front wing for a few laps to gather data. Two front wings were tested during Friday practice but no news yet as to what they have settled upon. One wing featured the cascade winglets, the other did not. However both wings had large cutouts in the flaps to reduce drag although they were incised directly in front of the front tyre rather than across the entire section of the flap. Introduced in Spa, the low-downforce rear wing was also present and did not feature any vortex reduction slots in its endplates. The reason for this is that because the wing is so shallow, the pressure difference between the top (high pressure) and the bottom (low pressure) is so small, that when they converge at the wingtips they do not produce large vortices. Adding slots can reduce aerodynamic performance in terms of overall downforce so the team saw no need in including them for this weekend. On the weekend of their 50th birthday, McLaren will be looking to take another step forward in Italy. Having conceded that podiums will not be a possibility this season their aim must surely be to score as many points as possible and develop parts for next year’s MP4-29. Along with their extreme low downforce rear wing, the above front wing was also used for this weekend. Unlike Toro Rosso no cascade winglets are featured here with just a trimmed, low AoA profile creating downforce. The cascades that normally appear on the MP4-28 are normally very small and have a low AoA anyway, so making these redundant for this weekend won’t hurt their tyre airflow management too much anyway. Sauber were also trailling DRD but it was not used again after Friday practice, although they did not use it in conjunction with their swooping/boomerang rear wing that we are used to seeing. It was instead combined with a high downforce wing setup which was what Mercedes also did during FP1. There was also a modified version of their Spa front wing, complete with the new cascades introduced two weeks ago. The flaps had a very small profile and, like everything on the cars this weekend, had the lowest AoA setting. 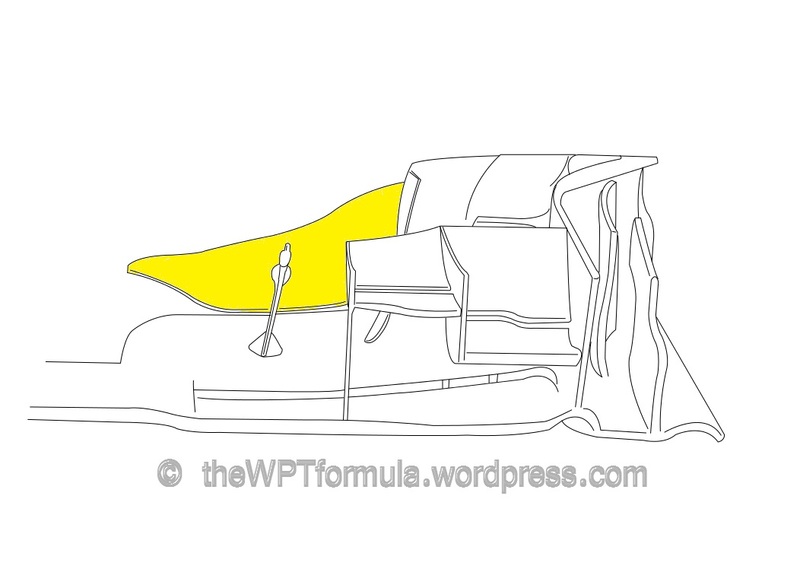 This entry was posted in 2013 Highlights, Technical Highlights and tagged 2013, f1, italian gp, italy, tech highlights, updates on September 7, 2013 by thewptformula. McLaren, whilst still not at the sharp end, do seem to have made a step forward of late. What d’you make of Hulkenberg’s third? Bit surprising, and, unlike Bottas in Canada, nobody can attribute it to weather conditions. I think they will take positives from this weekend as they were previously quite slow in a straight line, too. I think it was a great effort from a driver determined to get a top seat for next season. Stunning lap. One slight remark: is it really so that the chassis can’t be changed during the year? I was under the impression that that was a 2010 sporting rule only (together with all kinds of parts, like the wheel rims), which got scrapped the years after that. I’m almost positive that the chassis and rims are homologated. But saying that, Mercedes have been spotted with these rim cutouts but I’m not sure if they’ve had them since the start of the season!